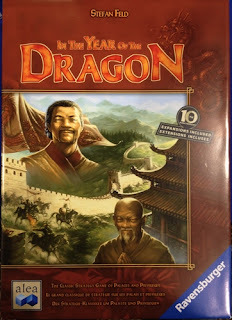 Back in print and celebrating it's 10 year anniversary is In The Year Of The Dragon, a classic game by famed game designer Stefan Feld. This 10th Anniversary Edition includes both The Great Wall Of China expansion and The Super Events expansion. Set in ancient China, 2 to 5 players take on the role of Chinese princes with the goal of maximizing the prosperity and prestige of their province. To accomplish this they must utilize the expertise of their various courtiers to protect their province from the seemingly unending ambush of unfortunate events. It is not known when the ravens first came to the Tower of London, but their presence there is surrounded by myth and legend. 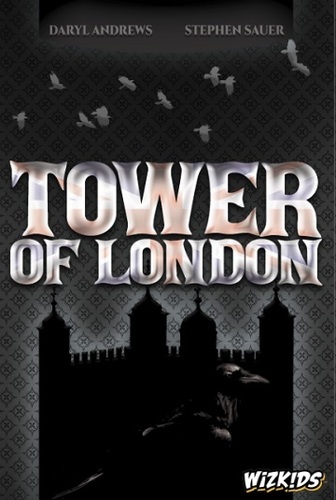 Unusually for birds of ill omen, the future of both Country and Kingdom relies upon their continued residence, for according to legend, at least six ravens must remain lest both Tower and Monarchy fall. 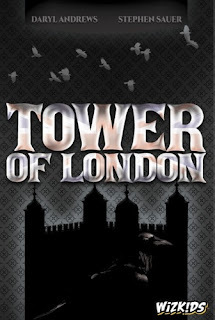 In Tower Of London, 3 to 5 players vie for control of the tower using their influence to occupy different buildings and gather ravens. The first player to get 7 ravens wins. If no player obtains 7 ravens, all lose and Britain falls. 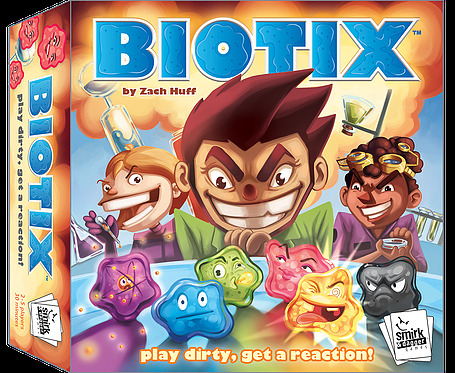 New from Smirk & Dagger is Biotix, a compact game filled with microbe meeples in five colors and petridish cards. 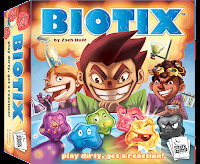 To gain scientific super-stardom you must grow a culture of high volatile microbes, while sabotaging the work of others by pushing their populations to bio-react and explode in all sorts of fun ways. Watch this Smirk & Dagger's video overview of Biotix. 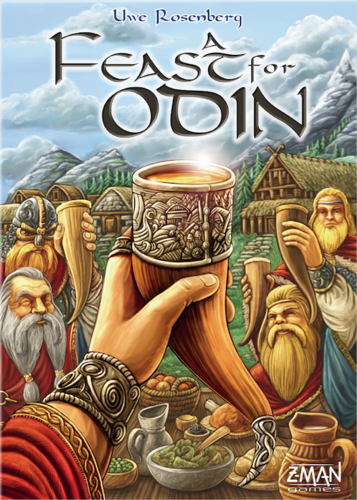 A Fest For Odin is a big Viking box full of components and possibilities. Delve into the world of Vikings and dabble in trading, hunting, raiding, pillaging, plundering, and raiding some more. 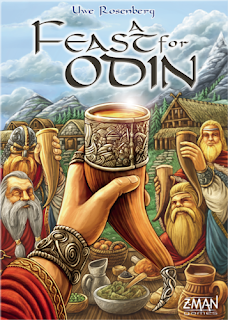 Build houses, explore new worlds, and every round have a fest in Odin's name. 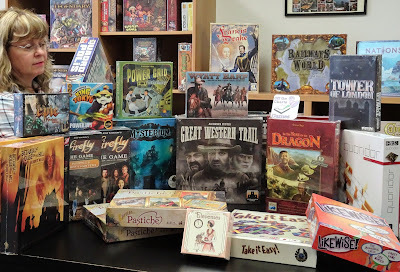 In this great strategy game, Uwe Rosenberg lets you relive a bygone era. 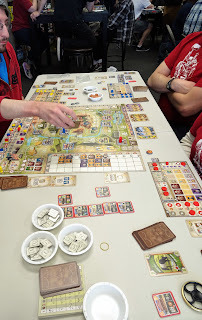 The large variety of actions and occupations guarantees your Notherners long-lasting fun, with each game creating a new world on your player board. America in the 19th century. In Great Western Trail, you are a rancher and repeatedly herd your cattle from Texas to Kansas City, from where you send them off by train. You must keep your herd in good shape and use the buildings along the trail wisely. You can also hire capable staff such as cowboys, craftsmen, and engineers. 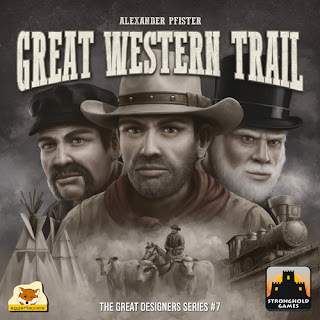 To win you manage your herd cleverly and navigate the opportunities and pitfalls of this great western trail. Great Western Trail is provides many tactical options.